I haven’t tried using margarine with this recipe. If you try it, I’d be interested to hear how it works out! I cannot wait to try this! I am recently trying to get back into baking, so I’m planning on using this recipe for a cake. My question is, will this be thick enough for decorating (as in borders and writing)? Thanks! Can you sub all purpose gluten free flour for the regular flour? I haven’t tried it, but I have heard from people who have sucessfully used measure-for-measure gluten free flour in place of the all-purpose flour. Hope that helps! I used a quadruple espresso, made fresh from beans, and made it up to the required volume with milk for the first step. Other than that I followed the recipe exactly. – I also found the butter / sugar mix gritty after 10 minutes of beating but it was perfect as soon as I added the espresso / milk/ flour mix. – The flour mix required constant whisking vigilance to prevent lumps forming on the side of the pan. One thing I’d change next time is adding a touch more sugar, but that’s just to balance out the espresso, I think for the vanilla flavour icing it wouldn’t be necessary. Very pleased with this recipe as it is easier than Swiss Meringue Buttercream in the absence of icing sugar. I would make one batch for a half sheet cake. Hope that helps! Holy Moly this frosting is GOOOOOOOD!!!! I doubled the vanilla because I needed it to stand out and let me say….I think this might be the very best cake topping I have ever had. No joke. 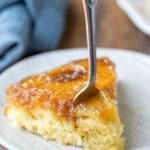 It’s so silky, light and perfectly sweet but not too sweet! Tons of flavor! LOOOOVE IT! Thank you so much!! I’m so glad that you liked it! And I don’t know that a frosting can ever have too much vanilla. =) Thank you for coming back to comment! Outstanding recipe! Was not sure this would work cause sugar and butter mixture was very gritty but once I added the milk/flour paste, it was smooth and creamy. I added cream of coconut and coconut flavor to make a frosting for my coconut cake. Everyone raved about this frosting and this will be the only buttercream frosting I use from now on! Thanks so much for sharing! Just made this last night and it was amazing! Thank you for a wonderful recipe! Once I put the frosting on the cake do I have to refrigerate the whole cake? I recommend refrigerating any leftover cake. So for those who are wondering if you could freeze the icing, the answer would be NO!!! Unfortunately it gets very watery once incorporated again. I still could use it to to a first layer of the cake but ill be making a fresh new batch again.. Interesting! It sounds like you froze it before using it. Am I reading that correctly? I made a batch to test, and I froze it on the cupcakes. I didn’t have any issues with it separating, and I’m wondering if icing then freezing makes a difference. Thank you! 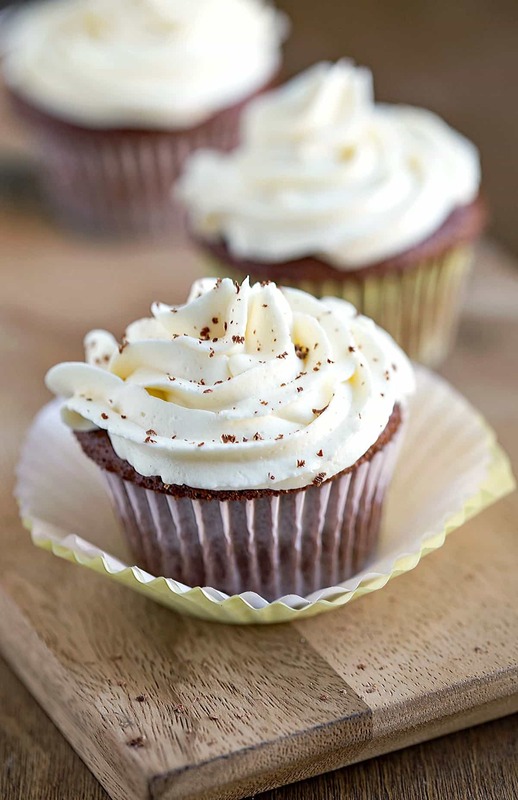 Have you ever tried mixing fruit into this buttercream? I am trying to make a raspberry buttercream for a lemon raspberry cake and I loved the lightness of this frosting so much the last time I made it! So when I’m whipping the butter and sugar, it’s still gritty even after whipping it on high for 5-10 mins. Should I continue whipping it? Is over whipping a possibility? I’m not sure if over-whipping is possible as I’ve never that happen with this recipe. Adding the thickened milk mixture should take care of any grittiness (unless you happened to use a larger crystal natural sugar). Please let me know if you have any other questions. We used a very similar recipe when we were kids(40+ years ago), but my mom used shortening instead of butter. We loved it back then, I am REALLY looking forward to trying your updated version this weekend! Haven’t seen this type of recipe in decades!!! Thank you. What a wonderful receipe and so easy to follow. 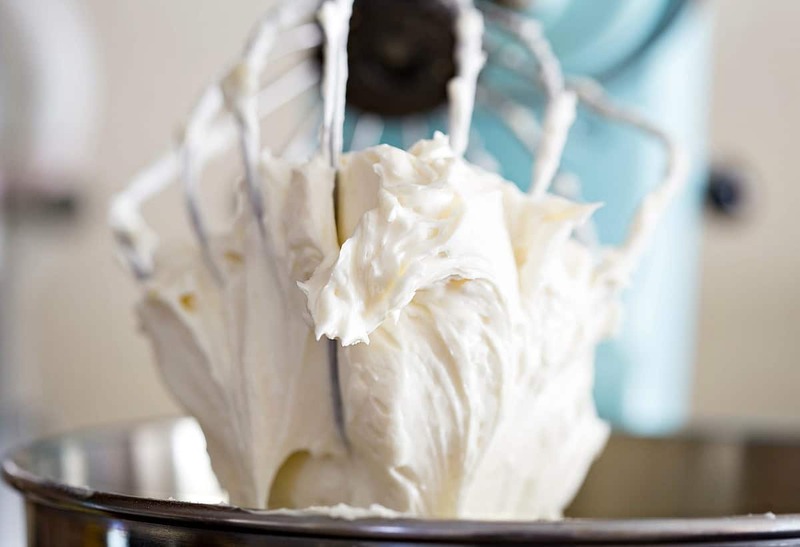 The best lightest and fluffiest buttercream ever. I did have a small problem though. I had to sieve out hundreds of tiny uniform lumps. I am thinking they were the flour. Any ideas? 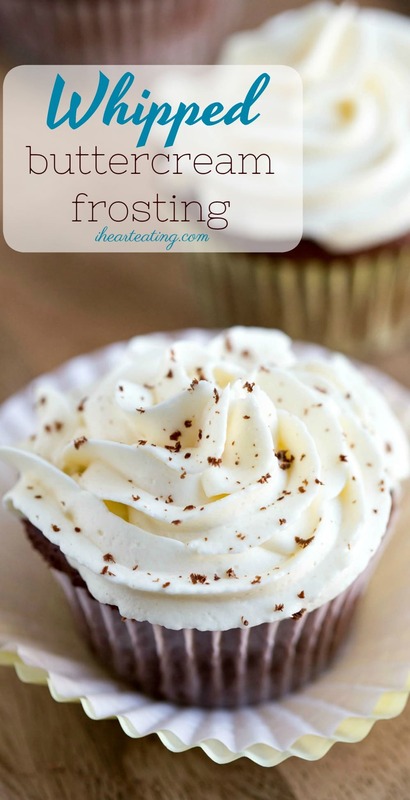 I made this frosting last night… Awesome, I couldn’t believe how fluffy it came out! The only thing… The milk mixture came out perfect, thick paste, let it cool while I brought the butter to “cool room temp”, but the frosting has a very light, flour taste. 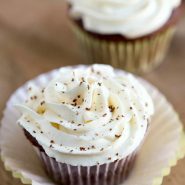 The foremost flavor is very, very nice… Definitely not the typical SWEET buttercream, just really very pleasant, except the flour after taste. Now, I didn’t have pure vanilla extract, I’m embarrassed to say I only had imitation, so I’m kinda attributing it to that, but I wanted to see if this may have been brought up before? 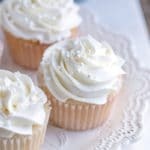 I really want to add this to my “go to” recipes since my bf and his mom aren’t fans of sweet, so this frosting is perfect! Hi! No need to be embarrassed! =) I’m a big believer in working with what you have. I haven’t ever noticed a flour aftertaste, so that may be it. 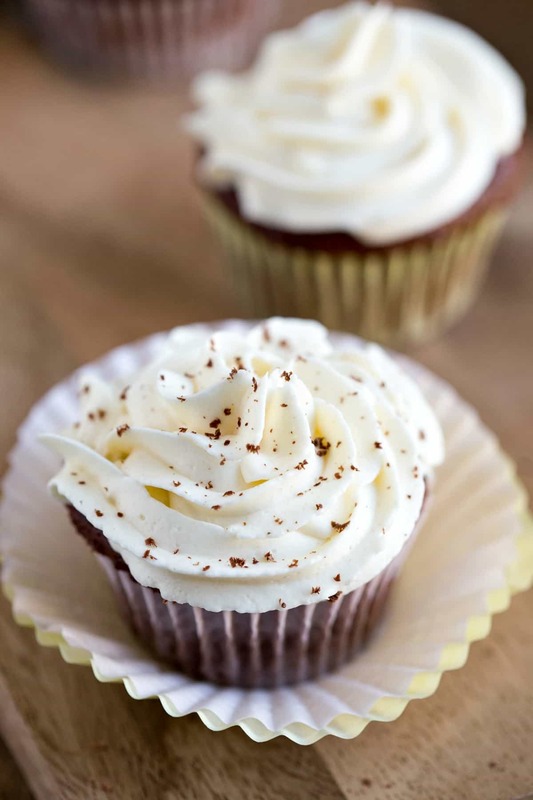 If you are using an imitation vanilla, you may find that you need to add more to get a stronger vanilla flavor. If you have any other questions, please feel free to ask! The floury aftertaste is more likely caused by not cooking the flour all the way in the milk. Even if it’s the desired thickness, the flour may still need to be cooked further. Similar to making a béchamel or other roux thickened ingredient, it’s best to simmer for up to 5 minutes and taste before using. Certain brands of flour and certain types/quality of wheat take longer and leave more of a raw flour flavor if you don’t. My 14 year old daughter and I were baking tonight and wanted frosting, but had none of the typical frosting things. A search led us here, and I can honestly say this is THE BEST frosting I have ever tasted! Creamy, not too sweet, not too buttery. We are using this one forever now! Yay!! Thank you so much! I’m glad that you and your daughter liked the frosting! Thank you for coming back to comment. So I was out of powdered sugar and stumbled across this gem! 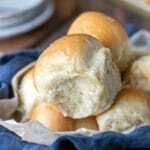 I’m 16 and only have a little bit of experience under my belt, and this recipe was super easy to follow! the milk mixture didn’t thicken up for me that well though, so I added an extra heaping tablespoon of flour and that got it thickened up, with the frosting turning out fine! thank you!! Yay!! Good thinking! I’m glad that it came out well for you. =) Thank you for coming back to comment! Thank you! I’m so glad that you liked it. If it’s a little buttery, you can try a little more vanilla to help with that. =) Thanks for commenting! How long will this last in the freezer and refrigerator? I’ve never tried to freeze this frosting. It will last for 3-4 days in the fridge. Hope that helps! I put it into the fridge and pulled it out to room temp and not its seperating while we’re trying to frost!? You can try to re-whip it to help if it starts to separate. Good luck!